If your home receives water from a city or municipal supplier, your water has been treated at a local municipal treatment plant. So you may be asking, "Why should I worry about additional water treatment if the water already been treated at a water plant?" Municipal water suppliers do their best to protect the public. But contaminants can infiltrate aquifers and springs, and aging infrastructure can introduce contamination even when water has been treated.  Although city water is treated to meet EPA standards, there are many reasons why millions of households choose to install ultraviolet technology. The American Society of Civil Engineers estimates a water main breaks in the U.S. every two minutes. Water main breaks and broken pipes are a major cause for boil water advisories (B WA). During a BWA, businesses and households lose access to clean, safe water. Boil water advisories are common and inconvenient. All drinking water should be boiled, ice makers emptied, and food prepared with purified water until the boil water notice is lifted. The aging water utility infrastructure in the U.S. is leaving some cities and towns vulnerable to contamination in their drinking water. Because of the danger of water-borne bacteria, most water filtration systems cannot effectively protect against bacteria during a	BWA. UV systems are easily installed on your water supply line after any other water treatment equipment. In areas with hard water, customers often install a softener in front of the UV system. But in many cases, no other equipment is needed. PEACE OF MIND: A whole-house ultraviolet system can ensure water is safe from harmful bacteria even during a boil water advisory.